Mobile apps, sophisticated call centers and revenue management systems are heightening the appeal of self-storage REITs as an attractive real estate investment opportunity. In part, this acceptance comes from the strong performance of the sector during and after the recession. 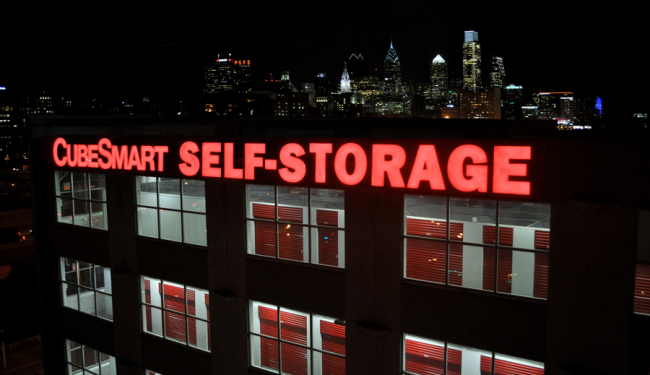 In 2011, self-storage was the highest performing REIT sector with a 35.22 percent total return. In 2012, the also delivered had a strong total return of 19.94 percent. The U.S. has about 50,000 self-storage centers, often brightly painted, low-rise facilities found near major highways or mid-rise buildings in urban areas. Approximately 10 percent of these facilities are owned by the four public REITs that are active in the self-storage sector. While strong performance has bolstered this property sector’s reputation for being recession-resilient, perhaps an even bigger story in self-storage is how technology has revolutionized the business. Rogers says Sovran will spend $5 million on Internet marketing in 2013. Self-storage customers used to find a facility by seeing one from the road or by searching in the phone book, but Ron Havner, CEO, president and chairman of Public Storage (NYSE: PSA), says 85 percent of customers today search online first. Public Storage plans to eliminate its Yellow Pages presence entirely in 2014 and now spends the bulk of its marketing dollars on Internet ads and search engine optimization. Havner says that technology-based pricing analytics similar to those used by airlines to change prices daily or even hourly according to demand and availability are now being used in the self-storage sector. "People assumed storage space was a discretionary expense that might be dumped when the recession hit, but it turned out to be more recession-resilient than people thought." Rogers says one of the most important technology investments Sovran has made is in its customer call center, an Internet-based management center where all calls to any Sovran facility are routed. Sovran also uses a revenue management system that prices every unit based on a set of algorithms that factor in call volume for a particular facility, the success rate at renting at various prices, the time of year, the history of occupancy rates at that facility and the success of various special offers. “This tool has helped us grow our occupancy rates from less than 80 percent to 87 percent just in 2012,” Rogers says. Christopher P. Marr, president, COO and CIO of CubeSmart (NYSE: CUBE), says some large independent self-storage operators have some money to spend, but that REITs have more capital to invest heavily in technology. A recent twist in the self-storage sector is the entrance of SpareFoot.com, a relatively new Internet start-up that offers a marketplace for self-storage customers similar to Expedia or other airline price aggregator websites. SpareFoot.com reaches customers through more than 60 websites such as SelfStorage.com and partnerships with Apartments.com and other websites. “They match consumers with self-storage facilities that are both publicly and privately owned, so there’s a possibility that they could take some business away from the public REIT-owned facilities or make it easier for smaller facilities to compete,” Toti says. Stubbs says some mom-and-pop self-storage facilities compete by turning over their management to a REIT. No significant new development of self-storage facilities is expected for at least the next 12 to 18 months, but Marr expects to see development in two or three years because of high occupancy rates and rising rents. Toti says establishing a profitable self-storage facility takes longer than other property types because becoming fully leased can take as long as two to four years. “Also, self-storage facilities face community opposition because people don’t want to live near them,” Toti says. Toti says the demand drivers for the self-storage sector are more nebulous than some other sectors, but some of the influences include consumer confidence, employment levels, credit card balances and the housing market. Rod Petrik, managing director at Stifel Nicolaus, says demand in the self-storage sector comes from change. Stubbs says the biggest challenge in 2013 will be acquiring more facilities because of the highly competitive environment for this property type. According to Petrik, however, the outlook for the sector in the near term remains positive.